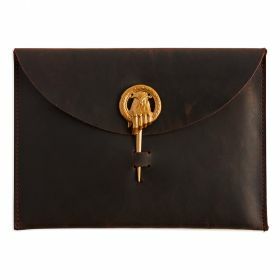 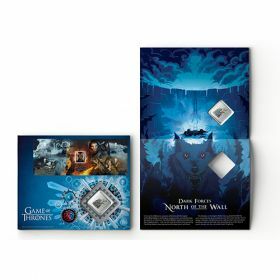 The ideal gift for Game of Thrones fans, this exclusive pack is based on HBO's map of Westeros. 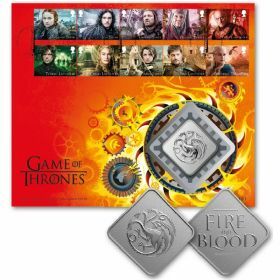 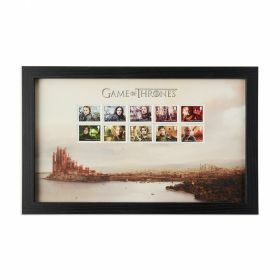 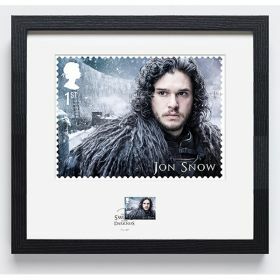 Includes both Character and Stamp Sheet Game of Thrones stamps. 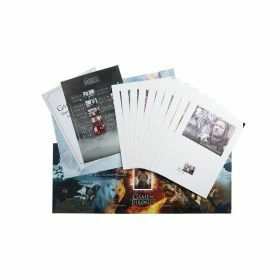 A fold-out pack based on HBO's map of Westeros. 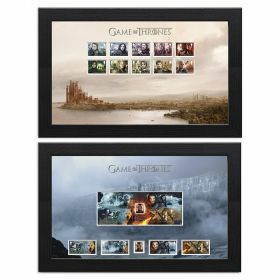 Exclusive illustrations of key series locations. 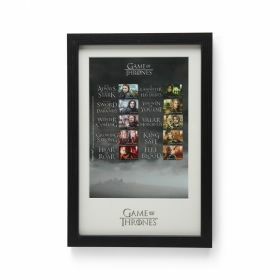 Brief overviews of the ten featured characters. 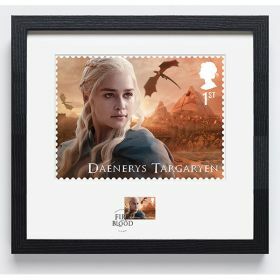 Both Character and Stamp Sheet Game of Thrones stamps, featuring iconic characters from houses Stark, Targaryen, Lannister and Tyrell, as well as characters such as The Night King and White Walkers.